Lay the squash in a single layer on a baking sheet covered with foil and then cooking spray. 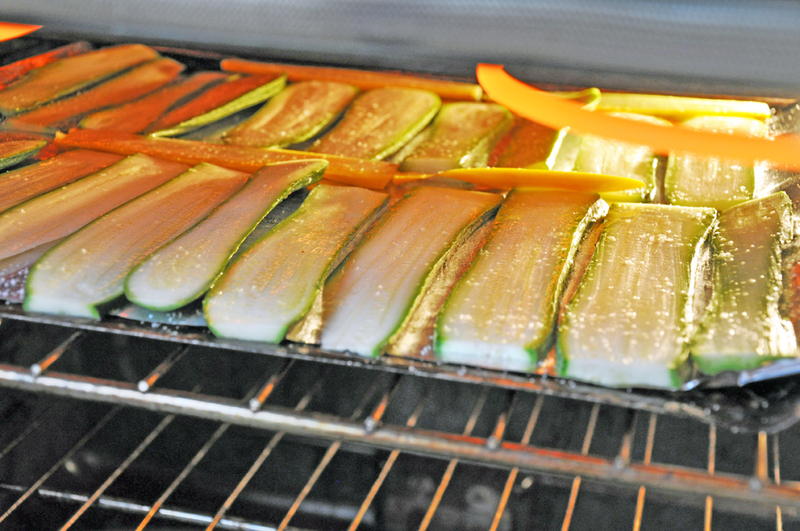 Brush zucchini with 1/2 Tbsp EVOO and sprinkle with 1/2 tsp salt. Broil 5-10 minutes until browned. Turn the squash slices over and brush with another 1/2 Tbsp EVOO and broil another 5 minutes. Remove from heat and let cool. Heat 1/2 Tbsp EVOO in a large skillet over medium heat. 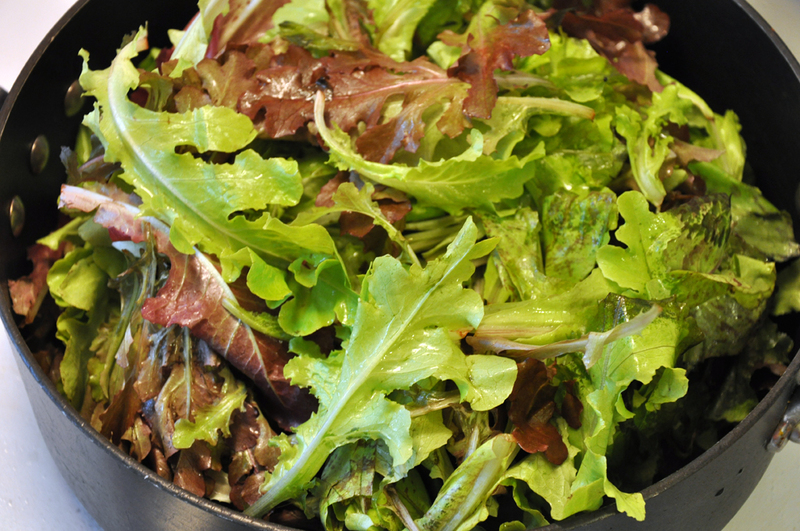 Add the lettuce and cook until wilted, about 5 minutes. Add 1/2 tsp salt and garlic. Remove from heat and drain in a colander. 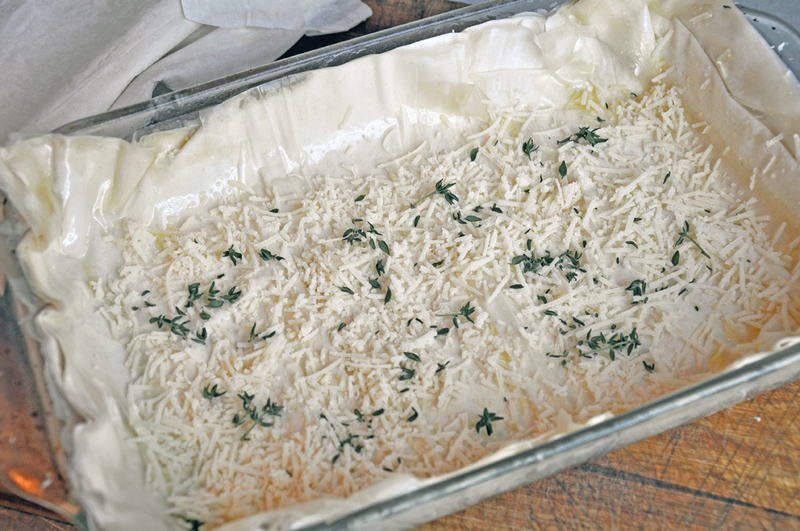 Lay out 1/2 the phyllo sheets in a 9x13 casserole dish coated with cooking spray. Brush with 1 tsp EVOO, and then sprinkle 1 oz Parmesan cheese and 1 Tbsp thyme leaves over top. Lay the remaining 1/2 of phyllo sheets on top. Again, brush with 1 tsp EVOO, 1 oz Parmesan cheese and 1 Tbsp thyme leaves. 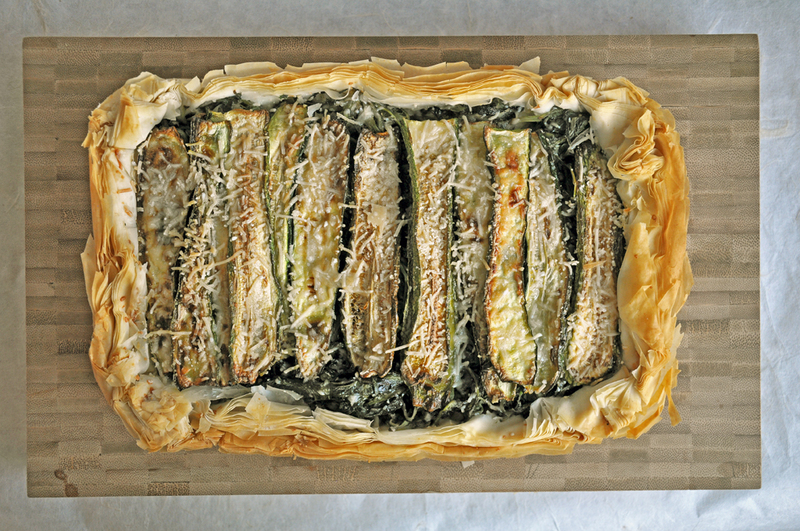 Then lay 1/2 the zucchini slices on top. Squeeze the lettuce to remove excess water and spread out evenly over the zucchini. 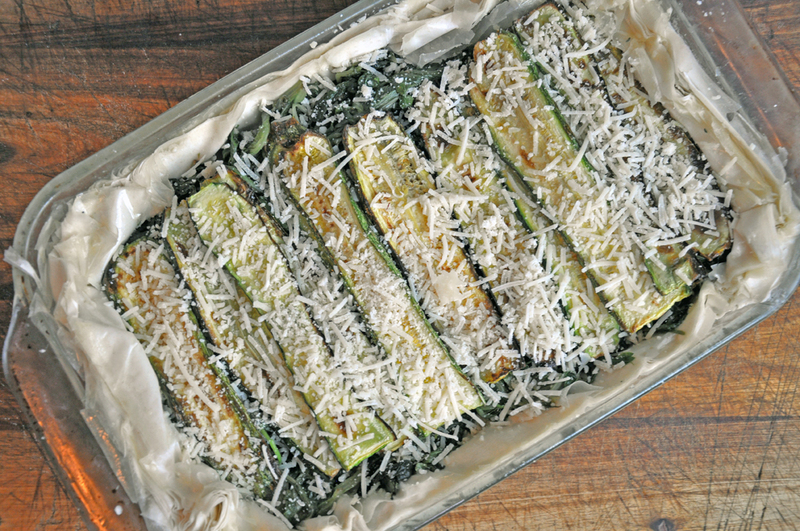 Top with remaining zucchini slices and Parmesan cheese. Bake for 30 minutes. 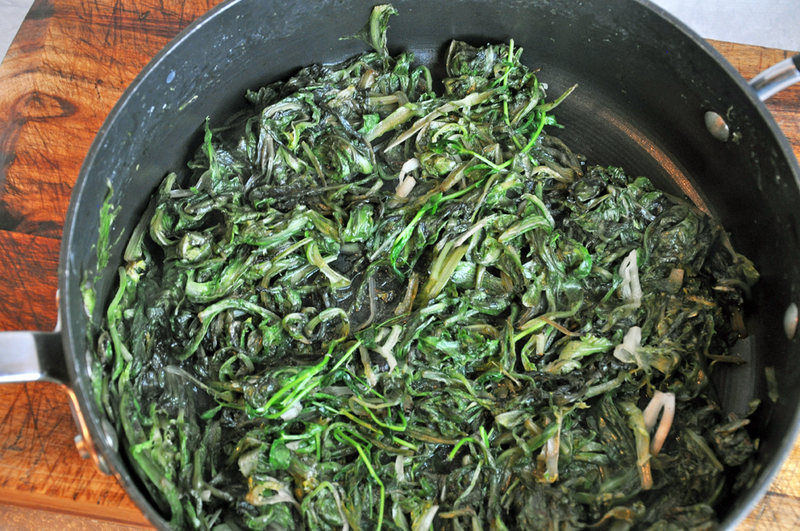 Remove and let cool slightly before cutting and serving.